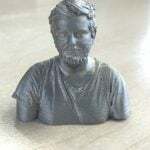 There are a ton of options available on the desktop 3D printer market, but few brands have the impeccable reputation and fervent fanbase that Josef Prusa and his Czech-based 3D printer manufacturer, aptly named Prusa Research, have developed over the years. One primary factor that makes Prusa 3D printers so beloved in the eye of the maker community is the manufacturer’s knack to constantly improve every aspect of its open-source ecosystem, from hardware to software. Many of these upgrades have come at the request of diehard Prusa users, a testament to the close relationship that Prusa strives to maintain with customers across the globe. Now, after gathering user feedback from their vast community via a survey, the Josef Prusa and his growing team have implemented a range of improvements to the already-steller Prusa i3 MK3 3D printer. “Some time ago we did a big survey about our products and it was immensely helpful. I want to thank everyone who participated. Constructive criticism is the best thing we can wish for and it helped us shape the updated products of MK3S and MMU2s,” the man himself stated in the recent announcement. The news came packaged with an avalanche of other exciting announcements, including an update on the highly anticipated Prusa SL1 resin 3D printer, improvements to the Multi-Material Upgrade (MMU) kit, and a new textured sheet design for the print bed. The new and improved Prusa i3 MK3S has a completely redesigned extruder system and includes all of the cumulative upgrades that have been made to the model over time. If you want to learn more about the Original Prusa i3 MK3S, check out our comprehensive review here. Otherwise, keep scrolling to see what changes Prusa has integrated into the MK3S. 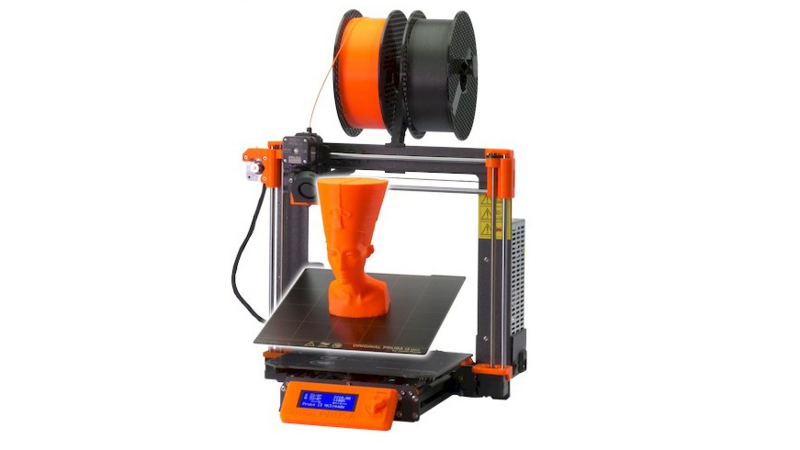 In essence, the Prusa MK3S looks and feels exactly like its predecessor, offering the same 250 x 210 x 200mm build volume, a sturdy frame with iconic orange-colored 3D prints parts, as well as staple features like the removable magnetic print bed and power recovery. However, after gathering feedback from the recent survey, Prusa Research decided to set forth on a journey to solve some of the issues that its loyal user base have experienced. 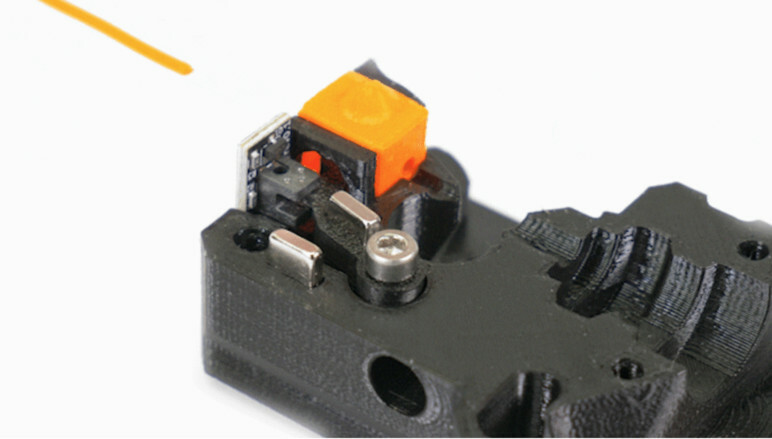 The most noteworthy change implemented into the Prusa i3 MK3S is the completely redesigned extruder assembly. A number of users suggested that the extruder should be easier. This led the manufacturer to modify the design so that users can change the nozzle of PTFE tubing without having to take apart the entire assembly. Additionally, the nozzle and extruder nozzle has been moved closer to the X-axis, reducing resonance and improving print quality. Other refinements that the new extruder provides include improved cooling and better Y-axis belt tensioning. Not only has the Prusa team completely reworked the extruder, but they’re also introducing a new filament sensor that offers improved compatibility with specific filaments, something that the original sensor tended to struggle with with. After experimenting with a mechanical switch mechanism for the new sensor, the manufacturer found the initial results to be highly unreliable for long term use. Instead, Prusa Research opted to combine new ideas with old ones, creating an optical sensor that is triggered by a simple mechanical lever. With this hybrid approach, the new sensor isn’t deterred by the optical properties of the filament. 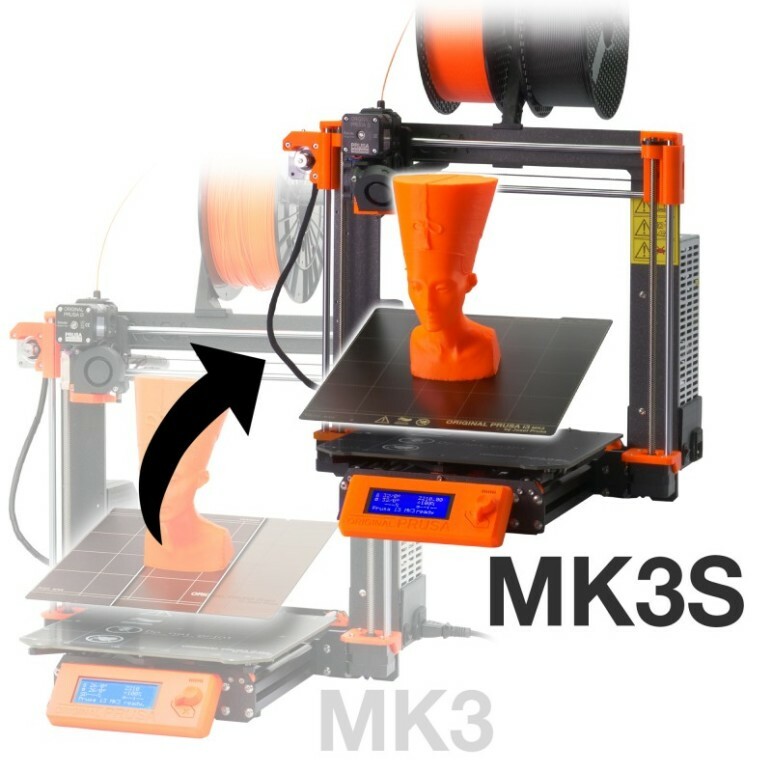 All other enhancements that have been made to the MK3 model since its release will also be included on the new Prusa i3 MK3S. This includes new genuine Gates belts, textile sleeves to replace spiral wraps, a new Einsy case, anti-rust coating for the PEI sheets, along with dozens of firmware and more robust plastic parts. The fully assembled model of the Prusa i3 MK3S is available for $999, while the DIY kit can be had for $749. The new version is already shipping to customers. Anyone that happened to order the previous model from January 28th onward will receive a voucher for the free upgrade. For the rest of the MK3 owners, the upgrade kit can be purchased for $19.99 (granted that they print the plastic parts on their own). If you don’t want to print your parts, you’ll pay $39.99. Aside from the hardware upgrades, Prusa has also added new print profiles for the MK3 and MK3S. To access them, all you have to do is download Slic3r Prusa Edition 1.41.3 or newer. There is now a 70μm profile that offers an option in between 50μm and 100μm. It’s being marketed as a great alternative for 3D printing miniatures. 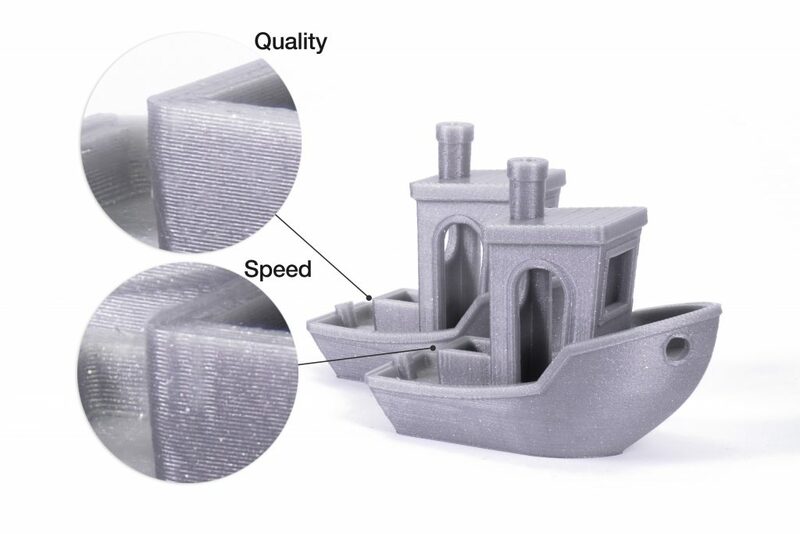 Prusa Research has also packaged its 150μm Optimal and 200μm profiles into Quality and Speed modes, respectively. As you can imagine, Quality is made for high surface quality, while Speed increases the print speed without much sacrifice in quality. The Original Prusa i3 MK3S is already being shipped out by the manufacturer, replacing the previous iteration of the MK3 for all customer orders from here on out. 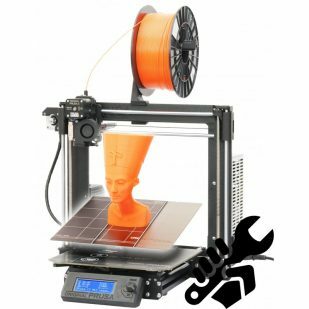 If you ordered the MK3 from January 28 onward, Prusa is automatically sending a voucher for a free upgrade. Otherwise, the MK3S upgrade kit is available for $19.99 on the Prusa Research e-shop. 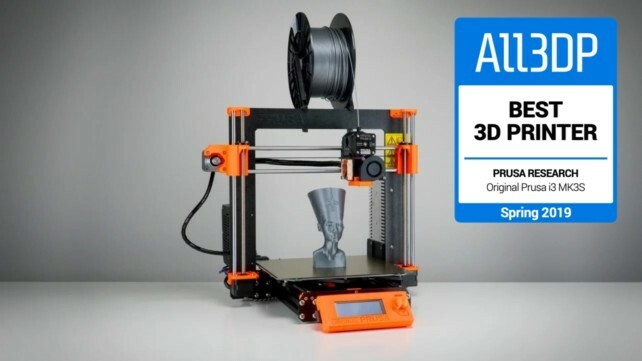 License: The text of "2019 Original Prusa i3 MK3S – Review the Specs" by All3DP is licensed under a Creative Commons Attribution 4.0 International License.